What hath Lula and Erwin wrought? Consider a brightly colored circus tent. Beneath the big top sprawls a multifarious arts organization, a three-ringed spectacle encompassing dance education, a national/international touring company, and community outreach. At the sound of a drumroll, imagine a lady on the high wire taking a deep swan-dive into each arena. A handsome ringmaster catches her with aplomb. The tent represents the Crenshaw Boulevard edifice whose purple sign announces “Lula Washington Dance Theatre.” That swan-diver? None other than Lula Washington. That ringmaster? Steadfast Erwin Washington. This eminent Los Angeles arts couple, married since 1970, shares nearly four decades as influential artists and educators; they are beloved figures, community leaders and role models, cornerstones of Los Angeles dance. The boy-girl couple who first started dating in the 11th grade are joint recipients of the 2018 Dance/USA Champion Award. The award, which recognizes outstanding dance leadership in the Annual Conference’s host city, will be bestowed at the conference opening dinner on June 6, 2018 in Los Angeles. It fits the Washingtons to a T.
Over the years, keeping up with their rambunctious arts organization, which they co-founded in 1980, has been a bucking-bronco ride. But lately Lula Washington Dance Theatre (LWDT) is making a quiet transition, turning over the reins to their daughter, Tamica Washington-Miller, also a choreographer. In the beginning, Washington was a dance-loving nurse’s aide studying at junior college to be an x-ray technician. Jolted by a performance of Alvin Ailey American Dance Theater, she found a new purpose. Already married with a small child, she applied to University of California, Los Angeles’ (UCLA) dance program and was rejected. The university said she was too old at age 22 to begin a dance career. She persevered, eventually earning her M.A. in dance at UCLA. Now 68, she’s a prominent face of Los Angeles dance, as well as a respected community organizer and advocate for the arts. She has a fresh, outgoing personality; and her mellifluous sing-song voice chimes in with delightful, frank commentaries. Lula Washington often strikes a visionary, nearly messianic note. “We all live together on this one planet and we all need to get along,” she says in her inimitable straight-ahead style. The very titles of her works — “Global Village,” “The Healers,” and “Connections” — support this worldview. 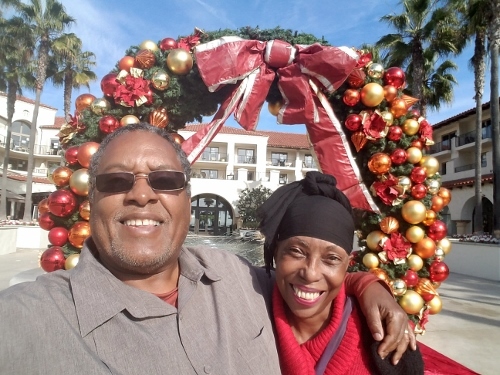 Behind the scenes, tethering her ebullient energy with pragmatism, analysis, and organizational structure for the past 38 years, has been her business partner and husband, Erwin Washington. His title may be executive director, but he is much more. “I am glad Erwin is being recognized. He always says he wants to be in the shadows. This is bringing him out, so all his hard work can be recognized,” says his wife, who has been honored with a Lester Horton Award (2000); the first prestigious California Minerva Award (2004); Carter G. Woodson Civil Rights Award (2007); the National Dance Association’s Heritage Award (2011); the Delta Sigma Theta Trailblazer Award (2015); and most recently, together with Erwin, by the Association for the Study of African American Life & History (2018). His strong presence, mixing a game personality and a ready bon mot, is felt at the school, on the tour bus, at an amazing number of L.A. dance concerts, and at industry conferences around the nation. More than a sprinkle of grey has shown up on his dapper goatee. His wife notes, “Erwin has mentored so many people” in their home city and beyond. His non-dancer’s enchantment with dance was immediate … and it was romantic from the start. 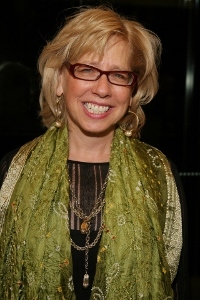 Washington was then in the midst of a journalism career as a staff reporter for the Los Angeles Times and Los Angeles Daily News. He was a summer intern at The Washington Post and a staff writer for Time magazine. Also a playwright with an MFA in playwriting from UCLA, he has had six plays produced in small theaters and six of his television scripts have been broadcast. Washington received the Lorraine Hansberry Award and two Samuel Goldwyn Writing Awards, one for short fiction and one for a screenplay. The other “me” — Lula herself — brought irrepressible creativity to the party. A woman who exudes an appealing blend of dance discipline and California hippie (a heritage she proudly touts in her work, “Ode to the Sixties”) sought to mirror her idol, Alvin Ailey, in establishing a repertory company with leading work by an artistic director interspersed with pieces by guest choreographers. Lula’s mélange of jazz, funk and African-derived movement fused into theatrical modern dance also comprises ballet on occasion. Top choreographers, notably Donald McKayle, Katherine Dunham, Ronald K. Brown, Donald Byrd, Louis Johnson, Rennie Harris and Christopher Huggins, have works in the LWDT repertory. McKayle, the modern-dance giant who recently passed away, sat prominently on the LWDT board of directors. His works, “Songs of the Disinherited,” “Games,” “Rainbow Etudes,” “Angelitos Negros,” and “Death and Eros,” hold revered places in the company’s rep. “They do a wonderful interpretation of ‘Games,’” McKayle said in 2010. “I was very encouraging when she started a company. Whenever she needed anything, I was there because anyone who can keep a company in Los Angeles deserves a medal.'' he added. Outreach is so intrinsic to the Washingtons and their place in the community so entrenched that as Metrorail has installed the Crenshaw/LAX Transit Project, it makes perfect sense to feature on a construction-wall mural, alongside a portrait of former Mayor Tom Bradley, the familiar image of Lula Washington in her trademark colorful turban head-wrap and fun jewelry. The Washingtons were essential to the start-up of LA’s BEST, a partnership of the City of Los Angeles and Los Angeles Unified School District that provides supervised after-school enrichment serving 25,000 children on-site at 193 elementary schools in economically distressed neighborhoods of Los Angeles. “I actually helped jumpstart L.A.’s BEST,” says Lula. “I was one of the first artists and I taught at least seven of those L.A.’s BEST afterschool programs by myself.” Her modest recital, in 1988, showcasing chanting and dancing children from these schools so charmed one important audience member, Mayor Tom Bradley, that he immediately funded the program for $1 million. “It has been in the mayor’s budget ever since,” says Erwin. And the organization’s annual budget has mushroomed to $32 million. The Washington magic shows up in the marvelous mayhem of the school’s holiday-season Kwanzaa Festival, a showcase so boiling over with talent that it shakes the rafters of its performance space. An annual tradition for the past 26 years, the show features the latest crop from the estimated 45,000 youngsters who passed through the Washington’s school doors since 1983. In wildly colored costumes, they explode to a fearsome fusillade of African drums. For the Kwanzaa show, Lula, who is herself a wonderfully natty dresser, contributes an unusual costume for a young dancer en pointe. Her “tutu raffia” is an amazing tutu made not of tulle, but of the straw-like fiber made from palm leaves that grow in Africa. “I wanted to bring the African world into the ballet world,” she explains. And Erwin secured a grant from the House of Blues Foundation to purchase nine REMO djembe and jun jun drums for tiny guys as young as five years old to play. “The idea is to train them to drum for the African classes. It’s also part of a program to engage boys at the dance studio,” he says. That so exemplifies how this couple digs down and comes up with color, marvel, and art in young people’s lives. 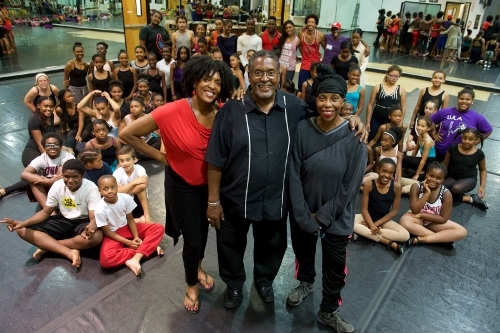 Says their daughter, “They both understand the almost desperate need for dance in general, but particularly for the black community, to create access and opportunity, and make a space for stories to be told. “My dad is the architect of making transactions happen and figuring out the money. My mother is so in tune — with people, the work, the vision. She brings fierce intuition and discernment” to everything she does, says Washington-Miller. Los Angeles dance critic Debra Levine has been published in the Los Angeles Times, The Huffington Post, La Opinión, Long Beach Press Telegram, South China Morning Post, EMMY Magazine and Dance Magazine. Her fine-arts blog, arts•meme, celebrates its tenth anniversary in 2018. Levine has received grants for her research into Hollywood dance history from UCLA Library Special Collections, Cecil B. DeMille Foundation, and Mortimer & Mimi Levitt Foundation. She was a resident Fellow at the Center for Ballet and the Arts at NYU in the fall of 2016 working on a biography of the jazz choreographer Jack Cole. 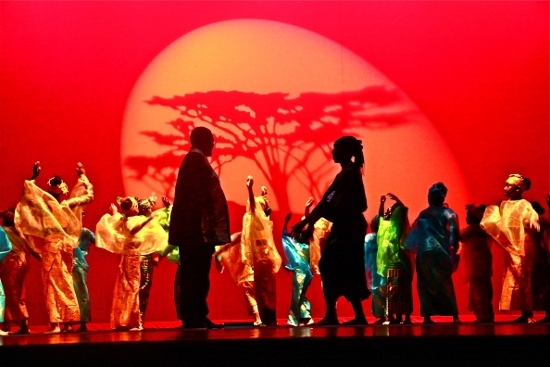 With great delight, Debra accompanied Lula Washington Dance Theatre on its three-week China tour in 2011, writing from the road.